At various times, many people may feel frustrated by the performance of their investments. For example, they expect growth, and they don’t get it — or they think the value of their investment won’t fluctuate much, but it does. However, some of this frustration might be alleviated if investors were more familiar with the nature of their investment vehicles. Specifically, it’s important to keep in mind the difference between long-term and short-term investments. What defines long-term and short-term investments? Long-term investments are those vehicles that you intend to hold for more than one year — in fact, you generally intend to hold them for several years. On the other hand, you usually hold short-term investments for one year or less. • They carry different expectations. When you purchase an investment that you intend to keep for many years, you may be expecting the investment to increase in value so that you can eventually sell it for a profit. In addition, you may be looking for the investment to provide income. When you purchase a short-term vehicle, you are generally not expecting much in the way of a return or an increase in value. Typically, you purchase short-term investments for the relatively greater degree of principal protection they are designed to provide. • They meet different needs at different times of life. You will have different investment needs at different times of your life. When you’re young, and just starting out in your career, you may require a mix of long- and short-term investments. You might need the short-term ones to help pay for a down payment on a home, while the long-term ones could be used to help build resources for your retirement. But later in life, when you’re either closing in on retirement, or you’re already retired, you may have much less need for long-term vehicles, with a corresponding increase in your need for short-term investments. • They can satisfy different goals. If you purchase investments that you intend to hold for the long term, you probably have a long-term goal in mind — such as building resources to help pay for a comfortable retirement or leaving a legacy. On the other hand, a short-term investment would be more appropriate if you know that you will need a certain amount of money at a certain time — perhaps to purchase a car or to fund a vacation. • They carry different risks. All investments carry some type of risk. One of the biggest risks associated with long-term investments is volatility, the fluctuations in the financial markets that can cause investments to lose value. On the other hand, short-term investment vehicles may be subject to purchasing power risk — the risk that your investment’s return will not keep up with inflation. As an investor, you’ll probably need a mix of long-term and short-term vehicles. By knowing the differences between these two categories, you should have a good idea of what to expect from your investments — and this knowledge can help you make those choices that are right for you. Primerica believes the ultimate key to financial success is knowledge– about how money works, how to make responsible, well-informed decisions and how to get the best value for the dollars you spend. As part of Primerica’s continuing commitment to consumer education, over the next several months we will discuss common sense financial concepts that can help people overcome the obstacles they face and achieve their goals. This month we will focus on the second principle: How time and consistency can be your friend. Emergency fund: This is your reserve fund in the event of an unforeseen emergency. Job loss or an unexpected expense. A good rule of thumb: Set a goal of having three to six months’ salary in your emergency fund. Short-term savings: This account is for money that you could set aside for expenses you want to purchase within a short-term time frame. For example, here is where you would save for a car or vacation you plan to purchase in 2-5 years. Long-term savings/investments: This is where your retirement savings, college funds and other long range savings will go. Because these are savings have more of a long-term time horizons, you can use investment vehicles with potential for a higher rate of return, such as equity mutual funds. Someone once said that the only two things life gives you are opportunity and time. Time, combined with two other important elements, rate of return and consistency, is a powerful key to achieving financial security. It pays to start investing early. Suppose your parents had deposited $1,000 on the day you were born. If you left that account untouched until you turned 67, that $1,000 would have grown to $406,466 – without your ever having added another penny. Don’t pay the high cost of waiting. If you are like most people, you do not have a lot of money. That’s why time is so critical. When you’re young, you can save small amounts of money and still end up with thousands of dollars. If you wait to begin saving, you must save much more. If you want to be financially independent, you have no choice- you must start now or later you must save more. One thing is certain: You can’t afford the high cost of waiting. Add consistency to time and the game is over. You’ve seen how time can be the best friend of growth. But most people don’t have $1,000 to deposit all at one. They must depend on smaller amounts, invested on a schedule, to build wealth. If that’s your situation, consistency can be the fuel that makes your investment grows exponentially. Remember the parents who deposited $1,000 at a hypothetical rate of return of 9 percent when their child was born? The annual interest would be $90. And $90/year, when multiplied by 67 years, is $6,030. Then how did Paul withdraw more than $406,000 at age 67? Because one of the most important rules to wealth you can ever learn: The power of compound interest. Here is how it works. including all the past interest payments. The compounding of the interest is how $1,000 grew to more than $406,000. With the power of compound interest at work for you, you’ll be amazed at how quickly a few hundred dollars can become a thousand. There’s another critical key to building financial security that’s often overlooked. It’s the interest rate (sometimes referred to as the rate of return). The difference of a few percentage points may seem minor, but the impact of the rate of return when combined with time is significant. You might think that if you could earn a 9 percent rate of return instead of 4.5 percent, your money would double. Not so! Remember the “power of compound interest?” That 4.5 percent difference adds up to much more over time – and can mean thousands of dollars to you and your family. Now you can see why the rate of return you receive on your savings or investment account is so important. Your main objective in saving is to accumulate as much cash as possible. You can reach the same objective in one of two ways: Save more money and accept a lower return or save less money at a higher return. What really matters is that you save something. We all have a bill that is eventually coming due. It is called retirement. What we pay now will determine our quality of life when we decide to retire. I do not like to think of retirement as being all done, I like to think of it as making work optional. I think that is what we would all like as soon as possible. Recently, I was speaking with one of my female cousins about the days of our childhood and our teenage years. 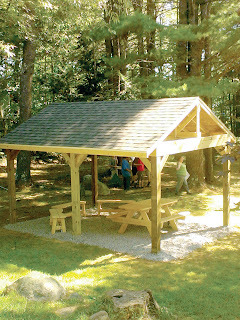 We spoke about the closeness that we all shared with one another even though we were from a large extended family. Part of the conversation dealt with the proverbial five feet of snow that we had to trudge through in order to get to school and the odor of snowsuits that smelled like a wet dog. During the chat, we quantum leapt to the days of our skating on mill ponds, sliding down closed-off streets, and skiing through family-owned woods. We revisited the sandy beaches of our youths that included baby oil tanning lotion, red-hooded sweatshirts, and lazy days of summer. We also commented on how we ever survived without calculators, cell phones, computers, and anything else that had to do with technology. We reminisced about transistor radios, rock and roll, car hops, and curfews that were the orders of those days. However, during the pleasantries of the conversation, the subject of how the name Giammarco would be called each morning over the high school P.A. system and how several of us would respond with trepidation as to what infraction one of us might have committed with the culprit always being-- she. My cousin had a habit of going in one door of the school in the morning and shortly after, escaping through another and to her freedom for the day. She was a quiet and shy girl and nothing close to being a trouble-maker; nevertheless, she was consistently in detention because of bunking school (being truant). As we talked about her shyness as well as her inability to speak during class and fear of being chosen to do so, I suggested that it sounded as if she might have had some social anxiety. To which she added that she had been diagnosed with the condition about ten years previously. She related how painful it was for her to go through many years without treatment for a disorder that was not well known about at the time when she was young. My cousin’s revelation got me to thinking about how a number of children (adults too) might be experiencing the same type or similar disorder that she had suffered for most of her life. For some, negative behaviors that would be described as disorderly, disobedient, oppositional, or attention deficient might actually be coping mechanisms or presenting symptoms for social anxiety disorder. Persistent symptoms that should be looked at and addressed by a professional when speaking about the latter are those such as anxiety, fear, irritability or panic (to name but a few). Simply labeling a behavior without delving into why it is there has the potential to lead to inadequate treatment, no treatment, or the wrong treatment for a disorder that can be treated. The recent version of the Diagnostic and Statistical Manual (DSM-5) renamed the disorder of social phobia to that of social anxiety disorder. Although identifying the disorder needs to meet criteria set forth in the DSM-5, one does not have to experience symptoms at a profound or excessive level in order to be diagnosed. If there is any question about whether a child or an adult might be experiencing some type of anxious behavior when around others or in social situations such as school, the subject needs to be addressed so that one can receive help. My cousin is a vibrant woman who has enjoyed a long-term marriage, children, and now grandchildren. She has a wonderful sense of humor, which I love sharing with her. For those of us who are in education and/or healing professions, enlightenment comes in many forms. For me, it was with reliving the past with my cousin that insight for the present was found. Let me begin by stating that, as a man on the distal portion of the 30’s, I can admit that I spend a little too much time on the Facebook. (If you’re under 20 and making fun of me because I called it “the Facebook”, be aware that I do that on purpose and that I’m not above hitting a youngster with my cane.) With that said, I have a teenage daughter who I am “friends” with, as well as old Army buddies, college buddies and friends reaching back as far as kindergarten. Ahhh…The stories some of these people could tell about me…but I digress. What I find interesting is that adults perpetrate the phenomenon of vague-booking more often than teenagers. Vague-booking is what happens when you decide to post a few teaser lines about some potentially awful or fantastic news, hoping to illicit some sort of comments from your friends and family. When my friend posted this, she waited two hours and then got mad because nobody commented on her own status because “nobody cared” that her life was in turmoil. Now, I was actually “live” on Facebook when that one was posted. The Patriots weren’t playing. The Red Sox weren’t playing. Hockey hadn’t even started yet. Heck, it was 10 a.m. so there were no organized sports in North America going on at the time, so I can’t imagine why anyone would feel the need to post that. I’m not saying that everybody in the world should be as open in his or her social media as I am. What I am saying, however, is that if you’re going to put yourself out there, don’t keep people guessing. It’s annoying. Just write what you want people to know the first time around. Get to the point and get your message out there. People will appreciate it. But who am I to talk? I don’t really like people. I hide behind a keyboard on social media in what seems to be the “new” reality. 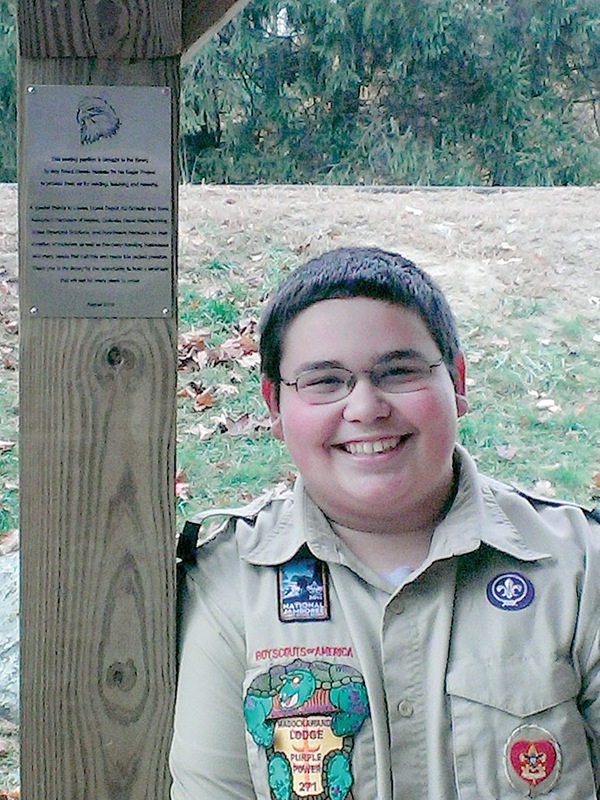 Windham High School sophomore Steven Nadeau has completed his Boy Scout Eagle project at the Windham Public Library. 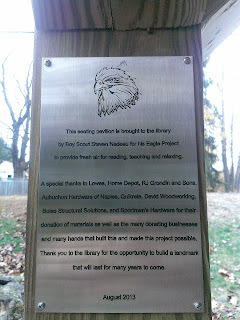 He constructed a pavilion in the front of the library with the help of his Scouting friends and family. 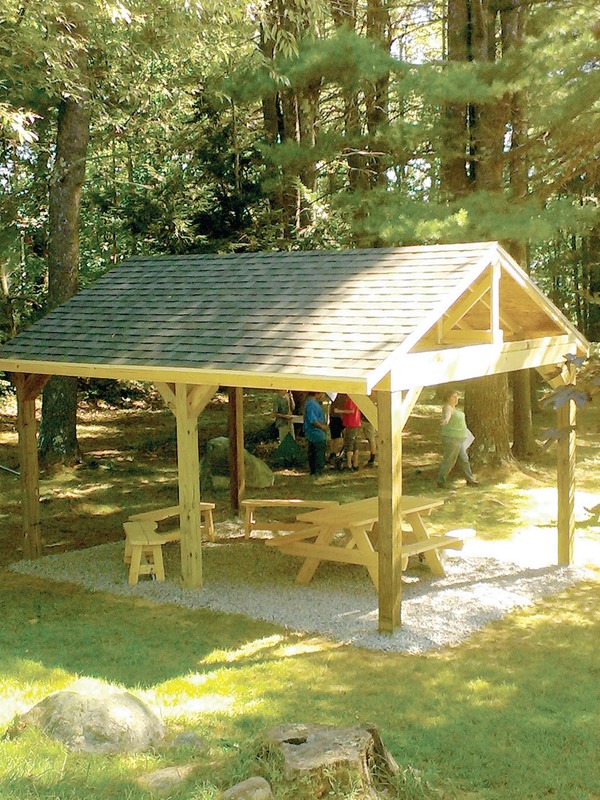 He made arrangements with the library and Windham Public Works to raise money and add a picnic table, benches with a crushed gravel foundation. 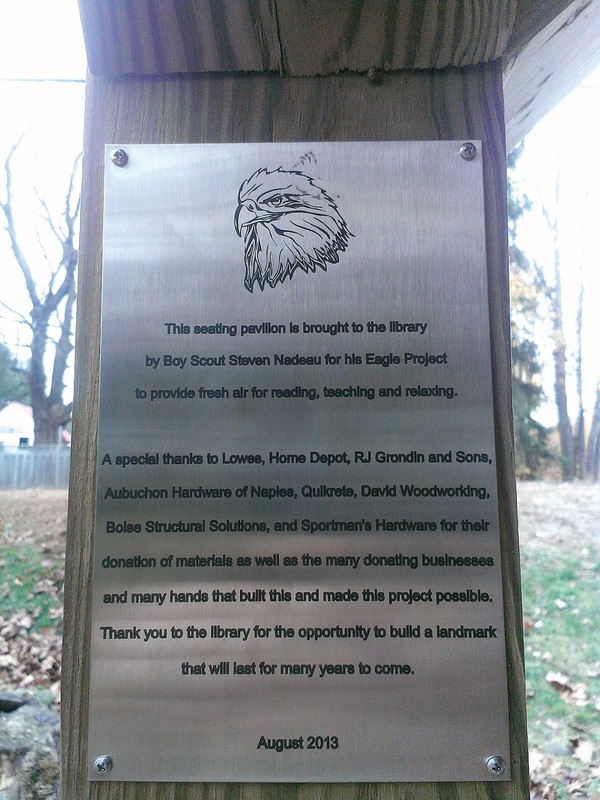 It took Nadeau a few weekends to put the building together after the project was approved by the Boy Scout Pine Tree Council. “Thanks to everyone who helped me in this process no matter what you did everything was a help and I appreciate it very much!” said Nadeau. Once he has completed the rest of his Eagle requirements, he will earn the award.